Free House Value - Home Worth | Find Out What Your Home Is REALLY Worth Online Now For Free! Find Out What Your Home Is REALLY Worth Instantly For Free! 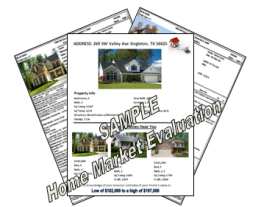 Did you know that professional appraisers use the Multiple Listing Service to determine what your home is worth? With this new service you can get access to the same information appraisers have. Why pay hundreds of dollars to an appraiser when you can get it for free? Just enter your information on the form to the right and get access to your home's value for no charge right NOW. Enter Your Email Below And Then Click The Yellow Button For Instant Access To Your House Value!